The Chester County Commissioners today announce the appointment of Michael Murphy, Jr. as Director of the Department of Emergency Services. Murphy was formerly Platoon Leader for the County’s 9-1-1 operations. 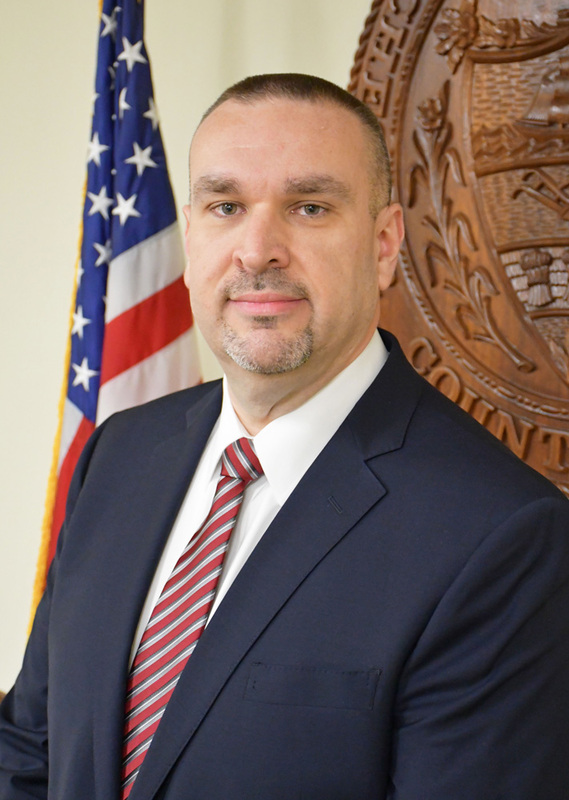 Murphy replaces Robert Kagel, who served as director of the department for four years before his appointment as Chester County Administrator. John Haynes, Deputy Director of 9-1-1 Operations, has been serving as interim director since Kagel moved to the Commissioners’ Office. Commissioner Kathi Cozzone said, “Chester County maintains an excellent emergency services record and we know that Mike will continue in the tradition of Bobby Kagel and the fine department team. Mike has the respect of the Department of Emergency Services staff as well as that of Chester County’s first responder community. Commissioner Terence Farrell added, “In the event of an emergency, county residents deserve assurance that there is someone in leadership that can make the right decisions quickly. Mike has been with the County’s Department of Emergency Services for 20 years and has a tremendous depth of knowledge of all areas of the department. “We also thank John Haynes for stepping in and leading the department as interim director,” added Commissioner Farrell. As Platoon Leader for Chester County’s 9-1-1 Center, Mike has maintained national and state certifications in all 9-1-1 disciplines, and has led the County’s team of telecommunicators using advanced technology to provide timely and accurate emergency assistance to citizens contacting the 9-1-1 Center. During his time served as Platoon Leader of 9-1-1 Operations, Mike has worked with every Department of Emergency Services division, all four emergency responder disciplines and their advisory councils, other County departments and state and federal agencies. A longtime resident of Chester County, Murphy has served as Emergency Management Coordinator and Deputy EMC for Caln Township, and has served as a firefighter with the Thorndale Volunteer Fire Company since the age of 16. He holds a Bachelor of Science degree in Public Safety Administration and a Masters in Organizational and Strategic Leadership, both from Neumann University.